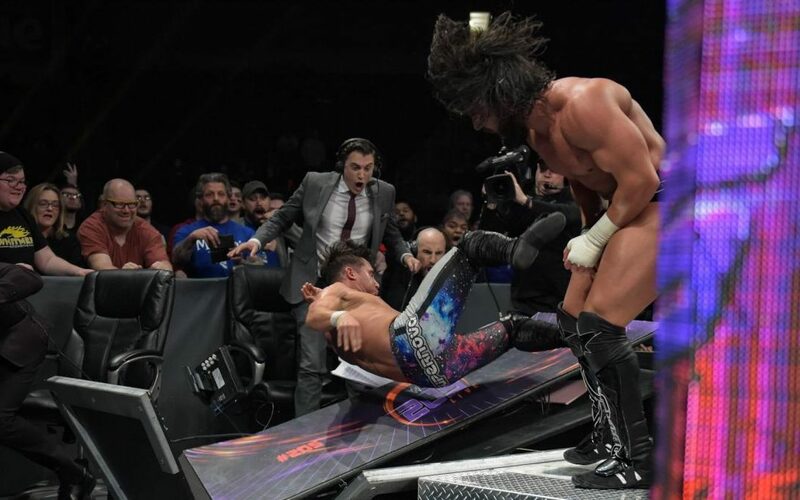 205 Clive’s Purple Brand Review: (02/12/19) – Noam Dar vs Tony Nese: No DQ Match. On the final 205 Live before Sunday’s Elimination Chamber PPV, Noam Dar and Tony Nese battle it out, rubber match style, in what has become a fiery feud. 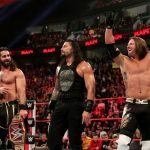 Tempers have reached boiling point between the two, as the introductory hype video shows, and there is no better way to settle the score than in a No Disqualifications match. Vic Joseph is joined by Nigel McGuinness and Aiden English on commentary. They inform us that elsewhere on tonight’s 205 Live, we will have a contract signing between Akira Tozawa and Buddy Murphy, ahead of their Cruiserweight Championship match at Elimination Chamber. The match gets underway as Drew Gulak joins the commentary team. 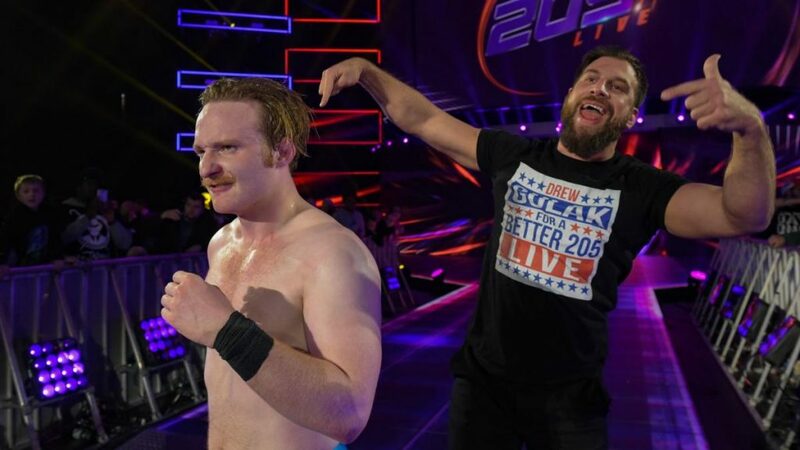 It’s been some time since Gallagher wrestled on 205 Live, but there is no sign of ring rust as his catch style ties Dorado up in knots. Dorado does fight out with innovative lucha libre offense, however, evening the scores. The differing styles intertwine well with each other if a touch on the deliberate side. This singles pairing has rarely if ever been seen before. This lack of familiarity with one another could explain the lack of speed with which Dorado is approaching the match. In defense of Gallagher, however, this slower pace suits him perfectly, as he is able to worm his way around Dorado’s flailing limbs and apply a series of wrenching holds. Gulak is vocal in his appreciation of such punishment. An abdominal stretch by Gallagher is countered with a monkey toss over the top rope by Dorado. He follows up with a springboard cross-body which lands precariously close to the commentary table. All of a sudden, the match has taken on a more urgent tone. Gallagher is starting to worry as Dorado’s momentum grows. Dorado lands a moonsault from the second rope and immediately attempts to repeat the move. Gallagher’s knees are up this time though, and the Englishmen is on the comeback. Dorado shoves Gallagher into the ropes, but Gallagher feigns a fall through the middle rope and pops up with a harsh headbutt to Dorado’s collar bone. Gallagher runs the ropes but comes back into the middle and meets Dorado’s handstand springboard assisted stunner. Dorado drags Gallagher over to the corner and hoists him up for a top rope frankensteiner. He follows through with the move, but Gallagher adroitly rolls through with a sunset flip pin. Gulak’s anticipation reaches deafening levels, and his excitement is rewarded with a successful three count. Drew Gulak is overjoyed at the commentary table. He embraces Gallagher and lifts him aloft. Throughout the match, Gulak bemoans the lucha libre style, all the while offering his and Gallagher’s services to Humberto Carillo. Gallagher’s win would no doubt strengthen their claim, and Kayla Braxton approaches Carillo backstage for his thoughts on the matter. Carillo says that his athleticism is what brought him to WWE, and that’s what he enjoys doing. But if two of the best wrestlers in 205 Live want to train him, it’s an offer he has to seriously consider. Ariya Daivari is in a “Mustafa Ali style” homemade video. He wonders how many losers he has to prop up, and is going to take matters into his own hands. He states that he is worth the money he owns. He vows to become the Cruiserweight Champion in the future, stating people will finally respect his cheques. Maria and Mike Kanellis are backstage in front of a camera. Mike has worked hard for 16 years, and can’t understand how he has been on this losing streak of late, a streak he angrily calls a joke. Maria calms him down. She says that they have been successful everywhere else they’ve been. She continues by stating that Mike’s legacy isn’t as a result of a single match, but a single moment. When that moment comes, his legacy will become clear. The above two promos were vague and cryptic, to say the least. Their messages may be clear to them, but we as an audience will have to see how they plan to follow through with their intentions in the future. The rivalry between Dar and Nese has become so heated, that Nese was suspended after viciously attacking Dar in a car park a few weeks ago. Nese is lucky to be reinstated, as Dar asked for the match, but Nese’s temper gets the better of him more often than not. Having said that, the no disqualification rules allow Nese to let loose if he so chooses. Nese makes a beeline for the ring, but Dar nails him with a baseball slide through the bottom rope before the bell even rings. Dar may have acted like the better, more level headed man when asking Maverick to reinstate Nese last week, but he has come out swinging tonight. No doubt he is channeling the rage that came about from his being attacked two weeks ago. Dar is in complete control if you can call it that, in the early portion of the match. He uses positioned steel steps to launch off and clothesline Nese and follows up by trapping Nese’s fingers in the metalwork of the turnbuckle. Nese breaks free and throws Dar into the barrier. He grabs a chair and hits Dar on the back. Nese props Dar onto an unfolded chair. He springboards off the middle rope and moonsaults directly onto Dar’s neck. Nese’s temper is in full display, but he is honing it into a tactical advantage, which is novel to see. Dar is struggling, but he ducks an incoming cross-body as Nese crashes to the mat. He continues his attack with football style punts to Nese’s legs. Nese looks to retaliate with an uppercut in the corner, but Dar grabs him and launches Nese into the turnbuckle with a t-bone suplex. Dar is on the offensive now. Nese spills to the outside, and Dar follows closely behind, but not without searching underneath the ring for more weapons. Chair after chair is dragged out, as well as a table, which the crowd audibly appreciates. Nese looks to take advantage of the distraction, but Dar catches the incoming Nese and flips him onto the unforgiving pile of chairs. Dar seems to be in control of the match, but Nese is like a rabid dog who won’t be put down. His intermittent attacks are enough to leave Dar labored in his own offense. Dar capitalizes on Nese’s tiredness, which sees his submission move thwarted when Nese grabs Dar’s pinky, wrenching it back to an uncomfortable angle. He then powerslams Dar onto a chair, earning a two-count. Both men are exhausted now. Nese goes for a straight up punch to Dar, but Dar blocks the fist with a chair. Nese is in agony, but there is no letting up as Dar uses the same chair to wrap Nese’s arm up in. A sickening chair assisted Fujiwara armbar is applied, but Dar is miraculously able to power out of the hold. The action spills out to the commentary table. Furniture is strewn all around the floor. Nese props up the table onto the fan barrier. He has a suplex in mind, but Dar kicks his way out of it. Dar pulls himself back onto the apron, but Nese levels Dar with an open palm strike. Nese finds himself in another armbar, but he picks Dar up and crashes him onto the steel steps. Dar keeps the armbar applied, but Nese repeats the one-handed powerbomb from the elevated position, and Dar crashes through the announce table. Dar is dragged into the ring for a pinfall attempt, but it’s not enough to keep him down. Dar avoids a Running Nese finisher, Nese’s knee going full speed into the turnbuckle. Nese walks gingerly around the ring as Dar homes in on the injury. He locks in a kneebar, but Nese grabs a chair from the floor and swings wildly, breaking the hold. Nese still has the chair in hand and sinks it into the incoming Dar’s ribs. It’s anyone’s guess as to who will walk (or limp) away the winner. But Nese’s destructive frame of mind sees him gain the upper hand in the late stage. Dar is propped against the time keeping area. Nese runs with frightening speed along the flank and smashes Dar through the barrier with a Running Nese. Nese drags Dar through the ringside mess. Even with the delay, his pin attempt was never in question. Nese picks up an important victory in this fantastic match. After the chaos of this match, a video shows the interactions between Tozawa and Murphy in the lead up to tonight’s contract signing. I understand that precedence should be given to the Cruiserweight Championship but, in hindsight, this contract signing should have gone before the No DQ match. With the overwhelming finality of Nese’s emphatic victory, anything that follows is anticlimactic by default. Additionally, with logistics in mind, the car crash visuals at ringside mean the contract signing takes place backstage. As a result, it comes across as inconsequential in comparison to usual contract signings. Murphy runs his mouth in his typical fashion, but one thing of note did arise from this segment. Tozawa doesn’t have much to say, apart from one thing. Murphy may think Tozawa won’t beat him, but he has beaten Neville, The King of The Cruiserweights, in the past. And there’s nothing to say that he won’t do the unthinkable again. I’m hard fought to think of better parting words. This simple statement is enough to put doubt into any champion, regardless of how dominant they have been. As much as I’ve enjoyed Murphy as champion, I’ll be more than happy if Tozawa stops the Unstoppable. Bring on the Elimination Chamber PPV! Make sure to check out the latest “Ricky & Clive Wrestling Show“. WWE ran a recent Twitter poll asking what match fans want to see close Wrestlemania 35. 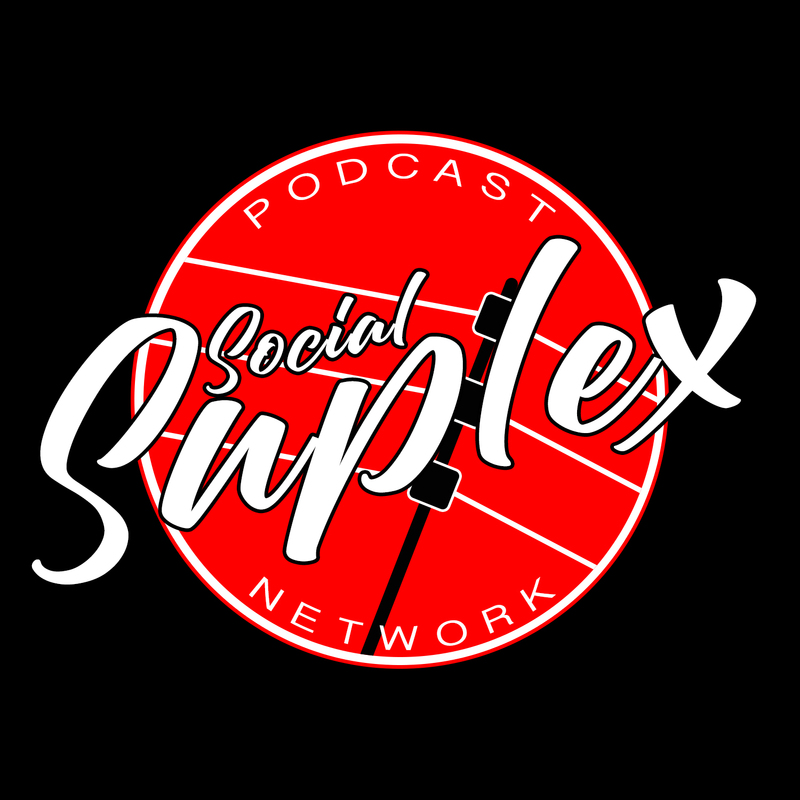 With Becky Lynch vs Ronda Rousey receiving an overwhelming majority of votes, Ricky and Clive look at the evolution of women’s wrestling in WWE. From degrading gimmick matches back in the dark days of the Attitude Era, all the way up to potentially a truly historical occasion in professional wrestling. We finish with a “women’s wrestling” quiz.